The post ¨Your time is over. 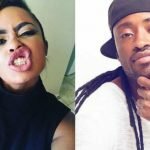 Stay at home and take care of your child¨ fan bashes Avril after releasing ´Kitoko´ music video appeared first on Ghafla! Kenya.